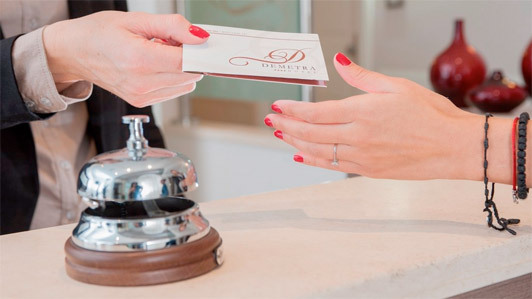 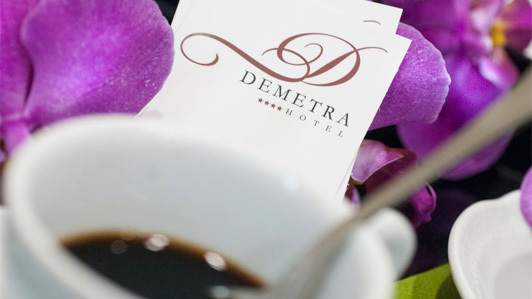 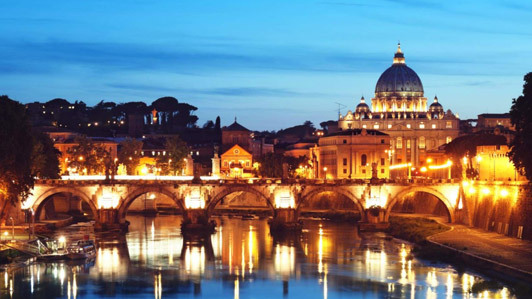 The Demetra offers a Double Room in a Hotel in Rome that guarantees you an extraordinary experience in one of the most beautiful cities in the world. 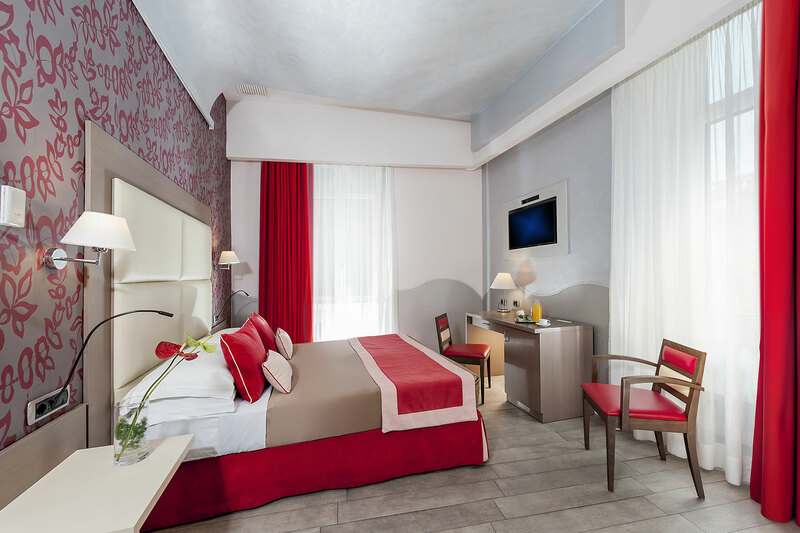 Modern technology and functionality are this Hotel room's main features, its tastefully furnished spaces and unique style; a master bedroom capable of inspiring pleasant sensations. 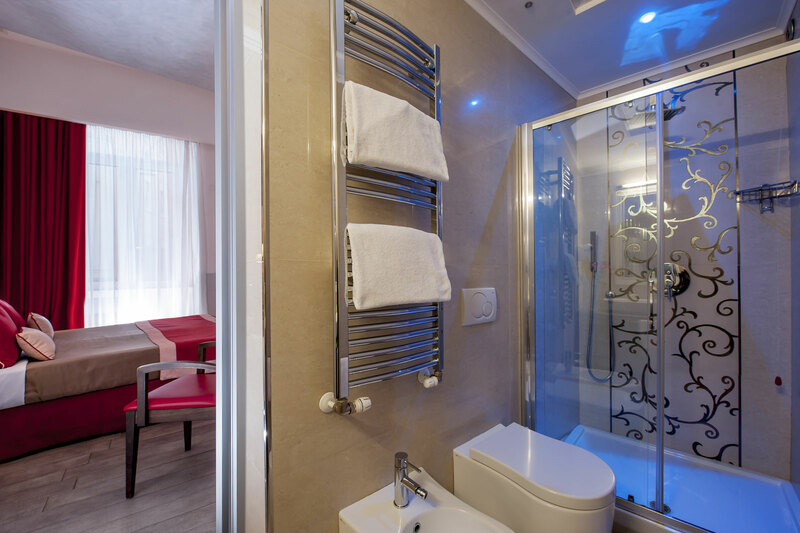 This double chamber is nestled in a Hotel near sites of great interest and can be reached using public transportation, by car or train. 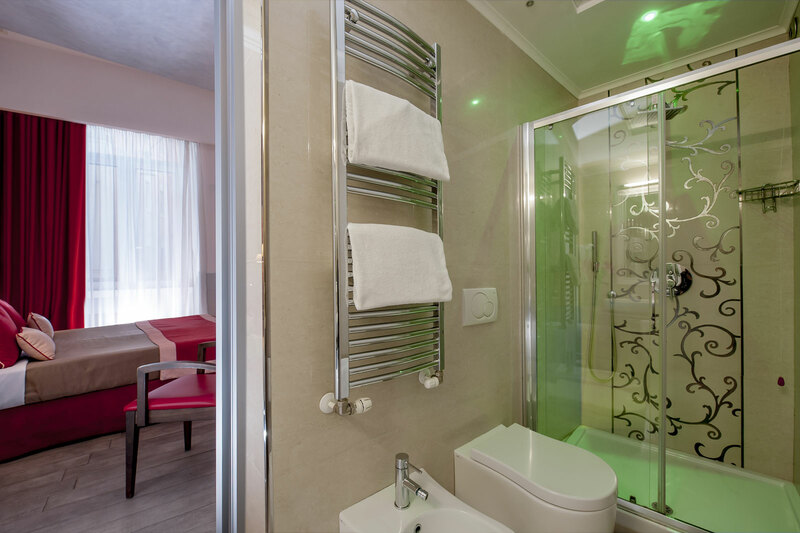 All double rooms provide our guests with a minibar full of a vast assortment of drinks, free for them to use during their first evening. 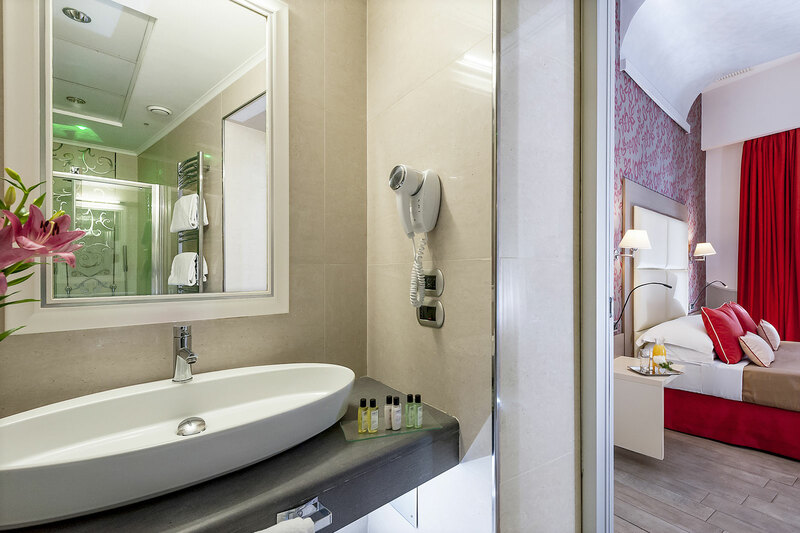 Every area in our structure has Wi-Fi access. 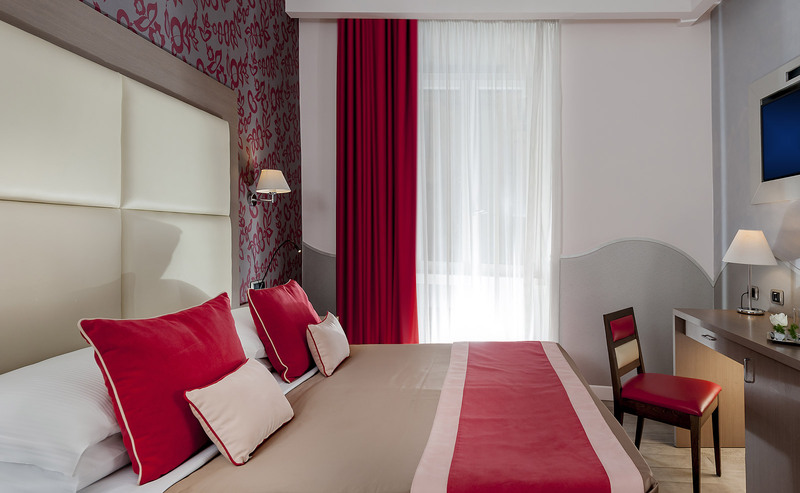 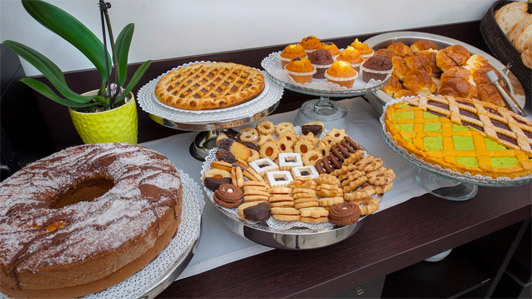 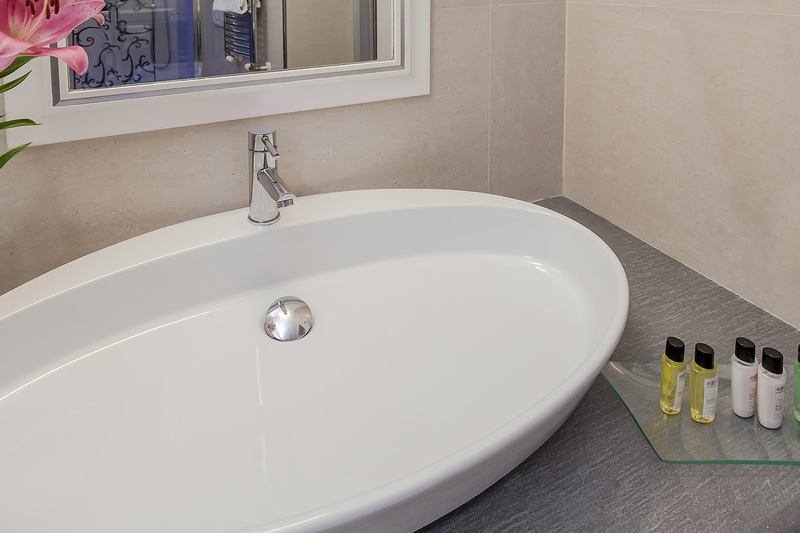 A welcoming double room in a splendid hotel close to the Colosseum, the Baths of diocletian and the Viminale. 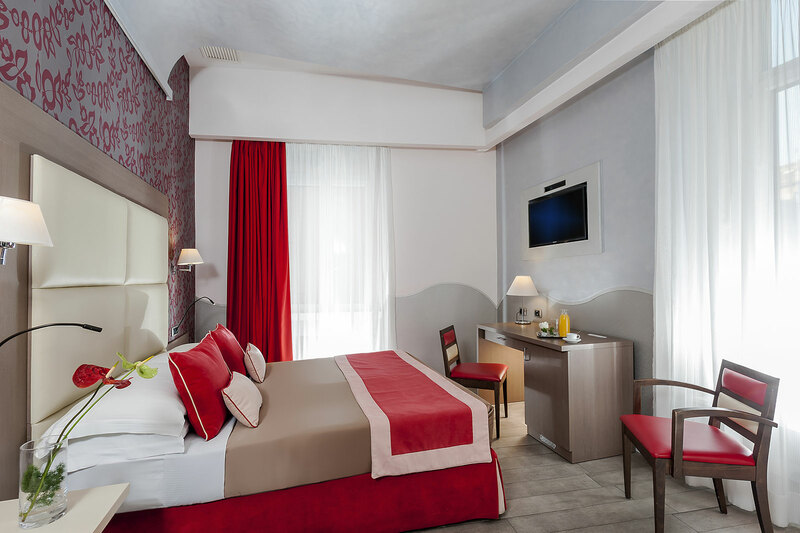 Our accommodations are the ideal location to enjoy a romantic vacation.